Standing the test of time, cast iron radiators have returned as a popular household feature, adding character and style to any interior. 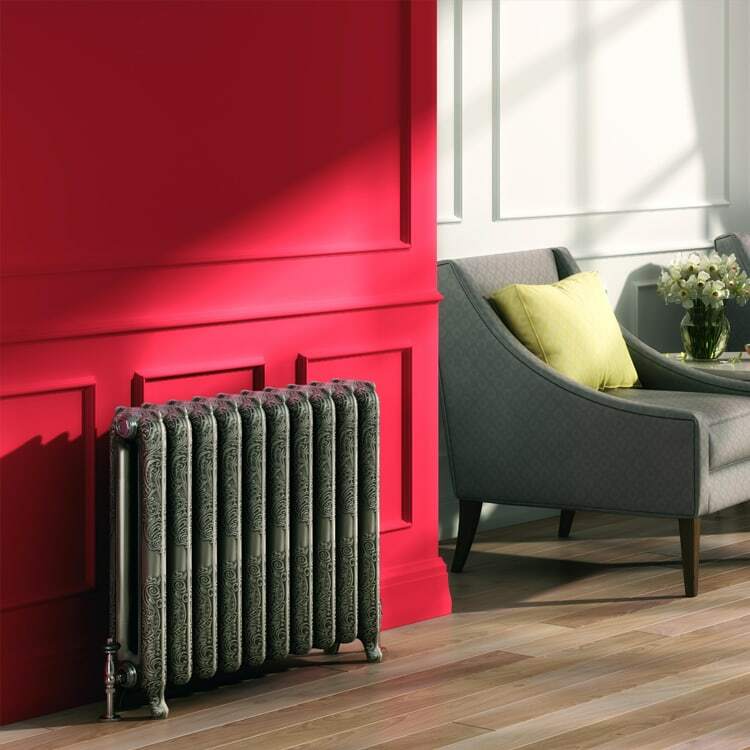 Their flexibility in being able to compliment a traditional style room or being able to make an eye-catching statement in a modern room makes this the perfect radiator addition to your home. Their popularity can also be linked to their recognition as being more environmentally friendly as they have been designed to retain heat for longer through natural convection, meaning the boiler not having to fire as frequently. This means lower energy bills, and a reduction in emissions released into the atmosphere – a double win. With their efficient engineering, these traditional radiators are able to produce a large amount of heat compared to their size and provide you with a slow warming and slow cooling system. Their functionality paired with their unique style means they are the perfect radiator for any room. Please contact us via our online enquiry form or give us a call on 01772 803725 if you have any queries on any of our cast iron radiators.